What’s that? Another…Jumpscare! Where am I? I’ve fallen into madness. So many questions were bought up throughout Layers of Fear but not all were answered, I found myself questioning what I was doing a substantial amount of the time. Was this down to questionable story? Questionable gameplay, or stellar graphics? Read on to find out. 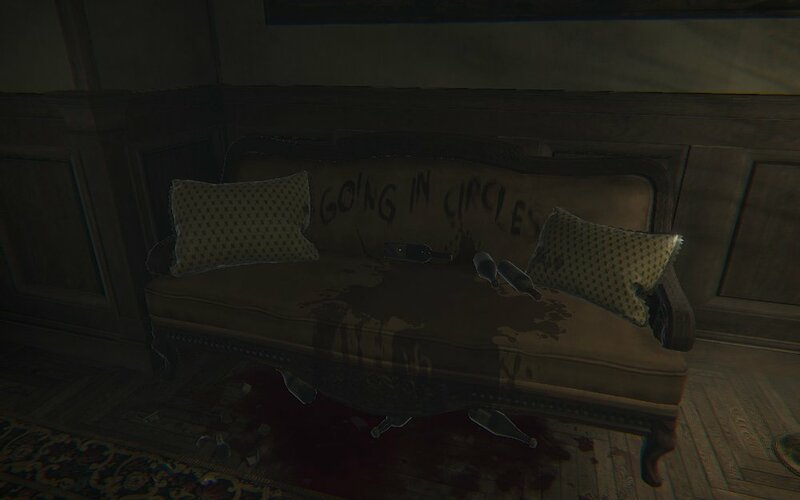 It’s the 16th of February, a new psychological horror game is out. Is it able to set itself apart from the rest? Developed by Bloober Team and published by Aspyr Media, comes Layers of Fear the first attempt for this studio at the horror genre. I need to say that I did enjoy playing the game before I start this review. Nevertheless, there are quite a few issues that I’ll be mentioning. Let’s talk about the premise of the game, you play as a ‘psychologically disturbed painter trying to complete his magnum opus, as he navigates through a Victorian mansion, with disturbing secrets about the painter being discovered.’ Need I say more? Well of course I do, the premise of the game is quite intriguing; as I’m sure you can tell. For the most part it stays true to this overarching ideal of a crazed ‘painter’ which some horror games can’t. We find out a lot about his mysterious past throughout the game, but never his true identity which adds to the overall suspense. The game does this exceptional job at creeping you out and scaring you, but there is never any lasting impact, the lack of immersion at times is what disappointed me the most. These 2 elements are exceptionally good on their own but I felt like they stepped on each other’s toes too often. Don’t get me wrong the soundtrack composed by Arkadiusz Reikowski kept me engaged, but there was only so much that could be done. One of the biggest let downs and biggest complaints about the game stems from the game mechanics. I felt like a lot of the time I wasn’t ‘playing’ a game but just enjoying an advanced visual novel. I’ve seen Walking simulator 2016 thrown around a lot and I’d have to agree. The amount of walking to the next stage or walking here or there, got quite tedious as the game went on. The interaction with the world on the other hand, was amazing, click and drag to open a door, cupboard, drawer, etc. I loved it, but that was about it in the gameplay department that I thoroughly enjoyed. There was never any pressure, no danger of death, having to restart or complete something within a specific time frame. I believe that without it Layers of Fear really lost its game aspect and just turned into a walk around and wait for events to begin. Some would argue 'but there are puzzles within the game!' My honest opinion is - what puzzles? I didn’t once feel challenged at all. Adding to all of this there is no clear objective, I often found myself stumbling around looking for whatever it was I was supposed to do, hoping for the best. With all of this said and done I can’t say I’d be recommending it based just off of game mechanics. 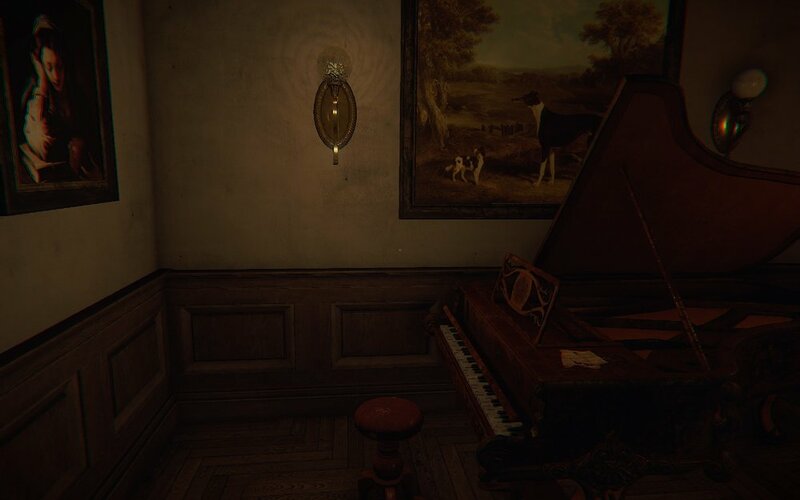 Layers of Fear has also released a piece of DLC contact called Inheritance which is purchasable either in a bundle with the game or as solo content. You play as the ‘painters’ daughter who is revisiting the mansion years later looking for closure from the nightmares that were haunting her childhood. I found that Inheritance had a far better story than the base game and felt far more attached to the DLC than the full game. It successfully adds more content to the game. However, in my opinion it doesn’t fix much from the somewhat lacking game itself. There still is too much focus on being a passenger of a story than a player of a game. 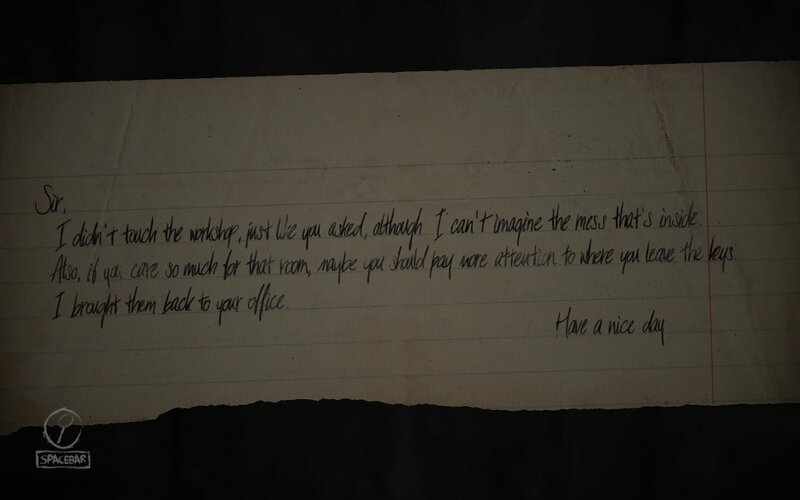 In the end Inheritance kept to the high standard of graphics, sound and jump scares but it wasn’t able to add anything new- don’t get me wrong I’d totally recommend picking up the bundle if you decided you’d like the game. The games biggest selling point would be the graphics, it looks fantastic and runs with ease. At times it was enjoyable just to stop and marvel at the reflections in a mirror or look at the shadows within a room. Of course compared to Triple A titles it wouldn’t be winning any awards but it would be able to stand up proudly. However, that’s all there really is to be said about the graphics, a simple interface in the menu and that’s where it ends. During gameplay there is a minimalistic to no HUD whatsoever, but it doesn’t have a negative impact on gameplay and I can agree with the developers choice. 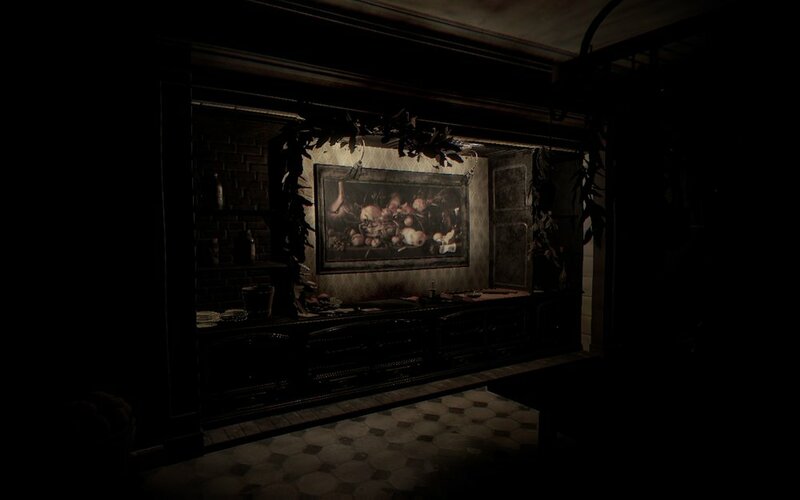 Layers of Fear is a good introduction to the horror genre for Bloober Team, it doesn’t succeed on a grand scale but does some things very well. It never was able to connect to me as a gamer, I never felt like I just couldn’t stop playing - I’m sure everyone has felt that before. 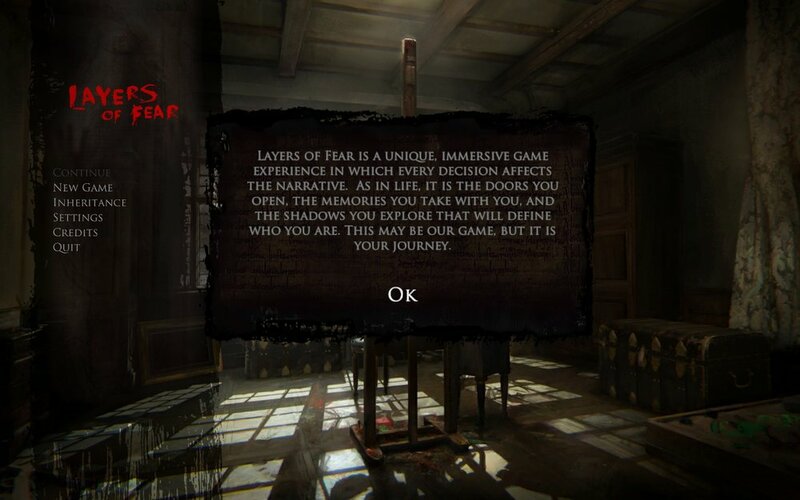 On a very fundamental lever Layers of Fear succeeds. Nonetheless, it doesn’t achieve anything more or ever set itself apart from all the other indie horror games on the marketplace. It certainly has it’s defining features, namely the graphics, but the mechanics and overall gameplay holds the game back significantly.